pokemon y, along with pokemon x is the sixth generation of the Pokemon Franchise. The players, or Pokemon trainers, will go on an adventure to reach the Pokemon League and become the Champion. Trainers will be traveling across the Kalos region, seeing new sights and meeting new friends. 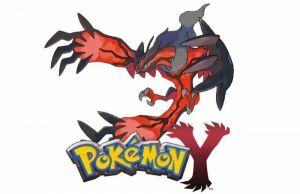 On this quest, they will also be able to encounter the legendary Pokemon: yveltal. The game includes over 80 new Pokemon, with the Introduction of the new Fairy-type. This sixth generation Pokemon title also introduces Mega Evolutions. These are temporary but enhanced change certain Pokemon can achieve with different appearances, stats, abilities and even temporary change in type. Trainers will be able to receive two starter pokemon: One Kalos region starter(chespin, fennekin or froakie) and one Kanto region starter (Bulbasaur, Charmander or Squirtle). The Kanto region Pokemon will be able to perform Mega Evolution. Hello y have a question were do we catch entei in pokemon y ? thanks to answer me. how did you get resharam? Is there a way to find more legendary pokemon without trading the pokemon that you worked so hard to level up? i have Yveltal and Xearnes card. how do you corner the pokemon conered cause it takes hours. how do you summon pokemon when not in battle for pokemon y 3ds game? hey did u know there is a ghost girl in the game she's in a building in north bolivard in the second floor then after u have seen here go to hotel richissime go to the fourth floor the room on the right is were she is at note u have to see her in the building in the second floor. does that go for both x and y? remember you can only catch mewtwo and Zygarde if you have beaten the pokemon league ANGEL OOOOOOUUUUUUUTTTTTT!!!!!!!! 48What's Your Favorite Mega Evolution? 2What's Your Highest Battle Test Score?